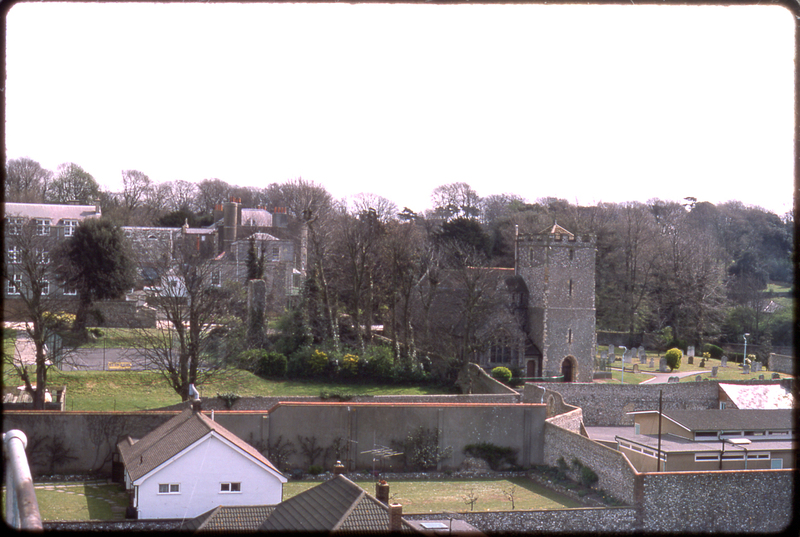 In about 1975 I was given permission to go up on the roof of Le Carbone the former Smithers’ brewery, and took these photographs of the Old Village in Portslade. 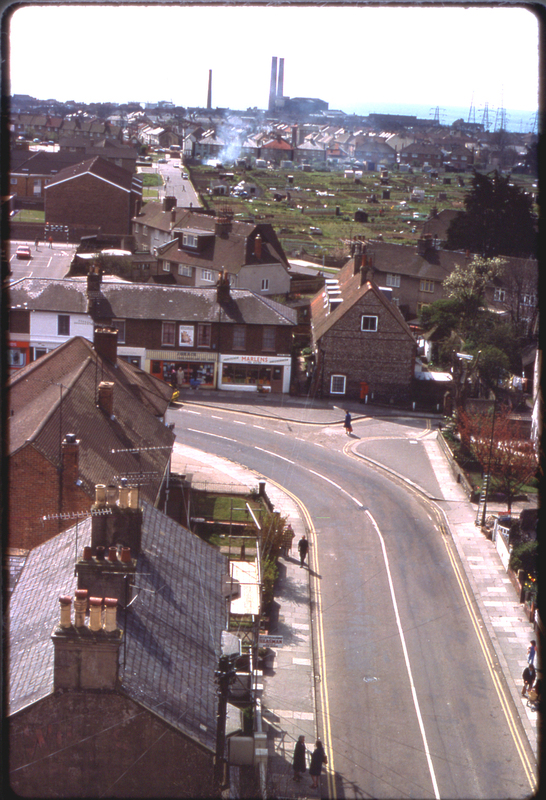 The first view is looking down into South Street and beyond, to the allotments in Camp Close. Marlen’s fruit and greengrocer shop is clearly visible, I do not remember the shop next door. The landmark chimneys of the laundry and Brighton ‘B’ power station on the seafront can be seen in the distance. The second view is looking east and shows St Nicolas Church and the St Marys Convent building to the left, now the home of Emmaus, a charity providing shelter and employment for the homeless. I think the power station is Brighton A power station with the smaller Flynn’s dye works and dry cleaners’ chimney to the left. I was a child in the Old Village and lived at No 36 High Street which was opposite the George public house. I went to St Nicholas school at Locks Hill. I grew up there and eventually, after other jobs, worked in Le Carbone in the reception office and met the man I married in 1959 and we were together till he passed away in January 2018. I am now 84 myself but so many memories of Brighton and the village. I now live in Somerset. I could go on for hours I think, but I am going to leave it at that. Hello Pat – I would love to hear about your memories. If you care to share them, email me and we can get organised.